Indiana is going to be out for revenge after an ugly 83-106 home loss to the Suns back on Nov. 22. The Pacers couldn’t buy a basket in that loss to Phoenix, as they shot just 36.9% from the field. While Indiana comes in off 12-point loss at Cleveland, that’s not a bad loss in my eyes. The Cavaliers look like they have turned the corner. The Pacers have been playing great basketball despite all the injuries and are starting to get healthy. They are 6-4 over their last 10 games, with wins at Miami (81-75), at Chicago (99-90) and at Dallas (111-100). They also lost by just 6 on the road against the Spurs as a 13-point dog. Phoenix on the other hand isn’t coming in with a whole lot of confidence. They followed up a 25-point loss at Denver with a home loss to the Magic. I look for the Pacers to keep this close enough to cover and potentially win outright. System – Home favorites who have trailed in each of their last 2 games by 10 or more points at the half are just 23-52 (31%) ATS over the last 5 seasons. 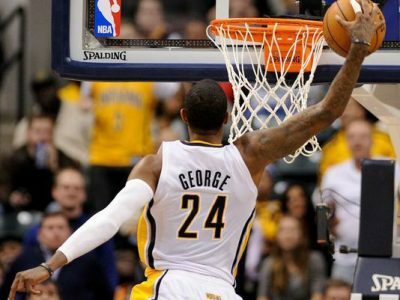 BET THE PACERS +6! Steve Janus is an Amazing 461-388 Over L849 5* Top Plays and has his single-unit $1,000 Players Profiting $32,720! Don’t miss out on a golden opportunity to build your bankroll withTuesday’s 5* NCAAB Blue Chip Blockbuster Top Play! Get in on the action before it’s too late! This can’t miss premium offer is yours for the low price of $35.95 and best of all it’s GUARANTEED TO PROFIT!